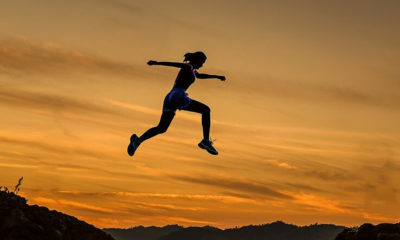 Recently in the year, 2019 Binance had partnered with Simplex, an Israel based payment processor. 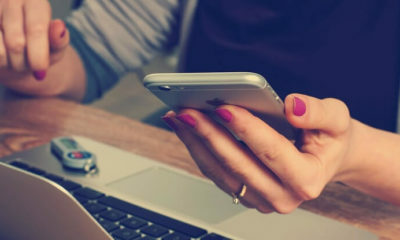 The partnership took place to enable cryptocurrency purchases with credit and debit cards, including Visa and Mastercard. 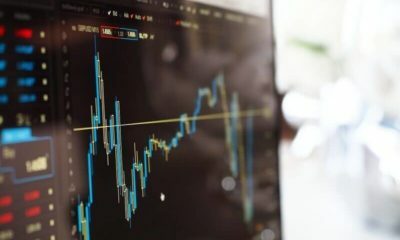 The purchases are limited to Bitcoin, Ethereum, Litecoin and Ripple’s XRP. The MyBinance Contest is active from 5th April 2019 to 15th April 2019. 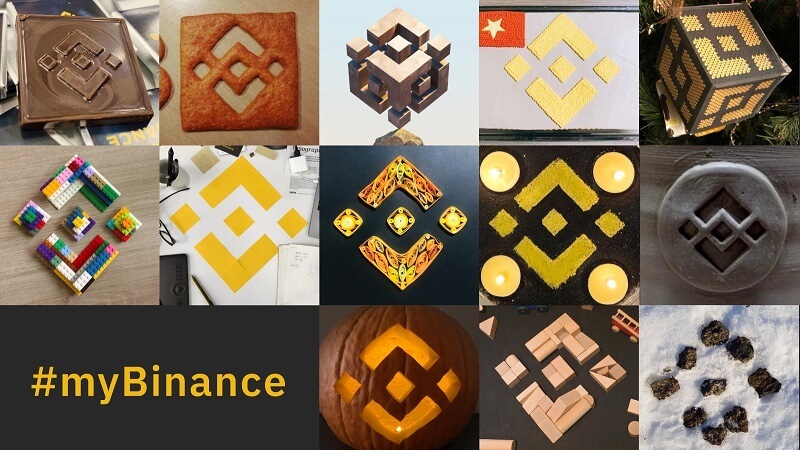 You can recreate the Binance Logo using any techniques you wish. The process of submission is also quite simple. Just post your image or video on Social Networking sites like facebook, twitter or Instagram and use the hashtag MyBinance in your post. The winner will be getting $250 BNB. The first and 2nd runner up would be getting $100 BNB each. 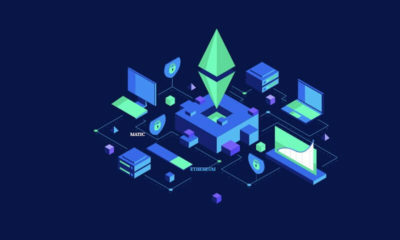 The company will also give $50 BNB to the person with the most creative logo. Six (6) submissions will be shortlisted. 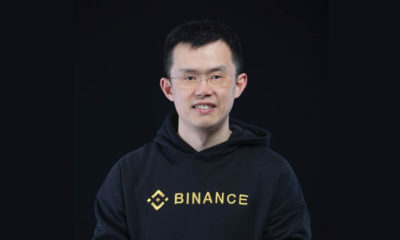 They will then be put to a weighted vote by Twitter users and Binance Angels. 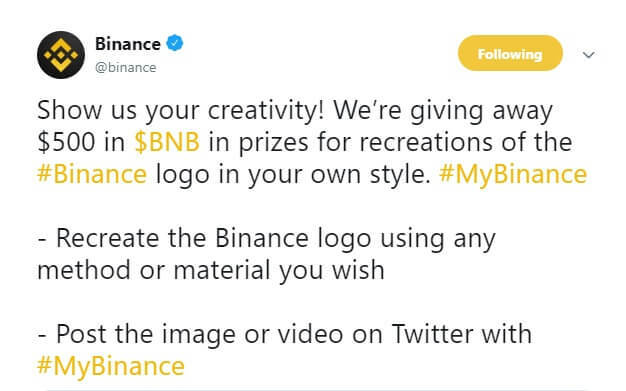 The winner for the most creative submission prize will be selected by the Binance team. Rewards will be distributed within 7 working days after the activity. You can log in to your Binance account to check your prize via the “distribution history” section in the user cente. Do try your luck and participate in MyBinance Contest.